In June of 1938, Detective Comics, Inc. launched Action Comics #1. This marked the first appearance of Superman and also the first comic book to feature a superhero. With the concept proving quite popular, they introduced Batman in May of the following year in Detective Comics #27. It too became a sensation. Eighty years have passed and what is now known as DC Comics has enjoyed continued success in its comic books as well as in film, television, video games and more. The franchise has grown to include an impressive roster of popular characters. Some of these DC characters have risen to popularity once again thanks to the Justice League film series. The cinematic universe currently includes Batman, Superman, Wonder Woman, The Flash, Aquaman, and Cyborg in its Justice League. Unfortunately, with the exception of Wonder Woman, DC Comics’ films have been reviewed quite poorly since the end of Christopher Nolan’s critically acclaimed Dark Knight trilogy. Competing with Marvel’s Avengers and the MCU as a whole has also proven to be difficult. So, without further ado… vote for your top 3 favorite live-action DC films of all time and don’t forget to scroll down a little further to vote for your 3 least favorite! Tucker loves anything that has to do with nerd culture, especially when it comes to video games and bad TV shows. Not only does he love the nostalgia of it all, but he’s found that he especially loves interacting with those online who share the same passion for nerd stuff that he does. 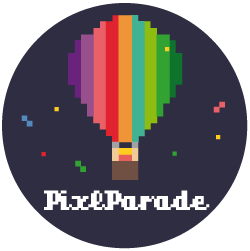 Outside of writing for PixlParade, Tucker enjoys living in Charlotte, North Carolina with his dog Finnley, a feisty chihuahua with no chill. There’s a surprising amount of superheroes packed in New York City!